Converting videos or video to MP3 Audio with Android phone without pc or computer is no longer difficult. 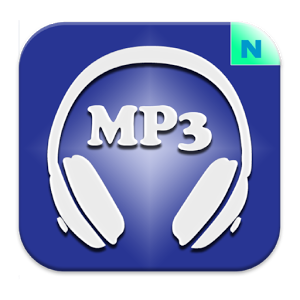 There are many programs available to convert video to MP3 audio on smartphones directly, and today with us a wonderful free video to MP3 converter . MP3 Video Converter is a tool to convert any video clip saved on your Android device to an MP3 audio file that can be easily played by any music player. The program supports a variety of video formats including 3GP, FLV and MP4 and you can convert it to MP3 files Or AAC audio format with the possibility to select the sound quality of the file. Support many video formats including 3GP, FLV and MP4. 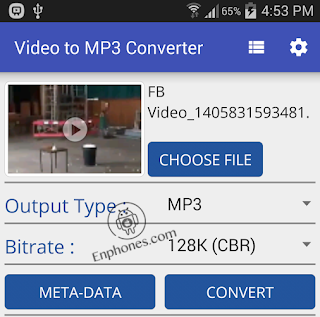 After installing Video to MP3 Converter app on your android phone, open it and select the video file that you want to convert. Then select the format to be converted to either MP3 or ACC. You can also choose the quality by Bitrate as shown in the picture. Then you can press the Convert button to start the conversion process.